The Boomers are back by popular demand! Their performances have ranged from the '97 President Clinton Inaugural Ball to the 2012 NFL Owners Meeting with hundreds of wedding receptions in between. The song selections and consistent quality of their live performance make this group a guaranteed success at every event! 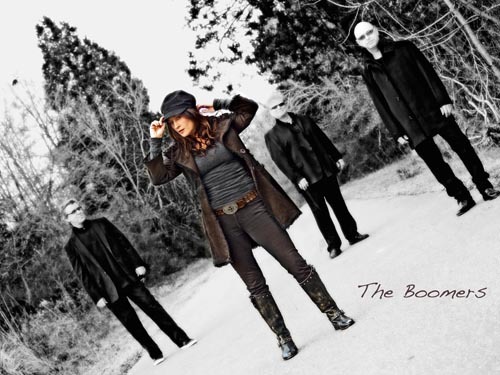 The Boomers members have been featured on national television shows such as, Good Morning America, Regis and Kathy Lee, The Rosie O' Donald Show, and were part of the '97 Academy of Country Music Awards house band. In addition to their amazing live regional shows, they've maintained a strong Hollywood connection. Singer Vaughan Penn and band mate David Rhyne have written and produced over 100 songs for national TV shows including the preview Theme Song from MTV's "The Hills". They've placed songs on, ABC's "Grey's Anatomy", and Ghost Whisperer, CBS' "NCIS", "Criminal Minds" and "Numbers", Fox's "Bones" and "Beverly Hills 90210", NBC's "Tonight Show with Jay Leno" Showtime's Fall Promo Theme and many more. Universal Picture's "Kicking and Screaming" with Will Farrell, also used original songs from these talented musicians. They have produced Grammy winning multi-platinum artists' on many nationally released albums. Singer, Vaughan Penn has recently been reunited with The Boomers after a successful national tour with Chynna Phillips (of "Wilson Phillips"). The two formed a duo called "Chynna and Vaughan" on "Sony/Provident Records". Vaughan also has 5 solo albums to her credit, which all include performances by members of The Boomers. During Vaughan's solo career she's opened for or shared the stage with national artists such as, Hootie and the Blowfish, Melissa Etheridge, Alison Krauss, Edwin McCain, Emmilou Harris and Huey Lewis and the News. 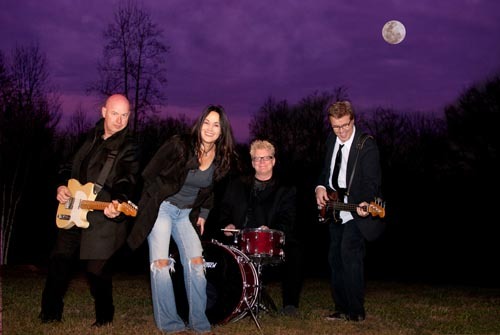 The Boomers consist of singer Vaughan Penn, 2007 "Breakthrough Artist of the Year (New Music Awards), with Mallory Penland on guitars and vocals, Rick Murray on drums and vocals, and David Rhyne on bass, keyboards and vocals. Talent is only surpassed by the professionalism these artists bring to every performance. Whether, a large festival or small private gathering, The Boomers are always a success! Make The Boomers your talent choice for your event. A splendid time is guaranteed for all! The Boomers did a tremendous job. They played a great variety of songs and our guests really loved them. Hope to get them back in the near future. This is Khou, the bride of the wedding you guys played for on Saturday, at the Haw River Ballroom. The Boomers were great!!! They were on time, very flexible, super kind and absolutely great!!!! I just want you to know how pleased we were with how things went on Friday at the William Aiken House. Wow! What a band! We loved them! Not only were they great on stage but they were so nice to work with!